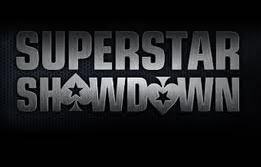 After a very long hiatus (the last Superstar Showdown took place in June 2011) the Superstar Showdown is coming back to PokerStars, and it will be a rematch of the very first Superstar Showdown that saw Isaac Haxton defeat Viktor “Isildur1” Blom in the 2,500 hand heads-up battle. The rematch will take place this coming Sunday, March 11, 2012 at Noon ET, and the two will see the stakes bumped up to $100/$200 –the first match was played at $50/$100. “I guess I’d put (Phil) Ivey in second for that, but it’s honestly not that close. Isildur’s brand of over the top–but carefully balanced–aggression is unlike anything I’ve played against and really takes me out of my comfort zone in a lot of situations… As someone who’s probably played half a million hands of high stakes HUNL, that’s saying something. “I want to play this guy again, because I didn’t feel he was so good… I dont think he deserved to win. Well Isildur, it looks like you’re going to get your chance! While some people split the Superstar Showdown matches between Isildur1 and Daniel Negreanu, and Isildur1 and Scott Palmer into two separate entities, these matches were announced as single events, so by my reckoning Isildur1’s only loss in the Superstar Showdown was to Ike Haxton, giving him an 8-1 record. You can watch the match as it unfolds on PokerStars this Sunday, but if you can’t tune in we’ll definitely have a write-up about it on Monday. This entry was posted on Friday, March 9th, 2012 at 10:06 am and is filed under Poker Promotions. You can follow any responses to this entry through the RSS 2.0 feed. You can leave a response, or trackback from your own site.